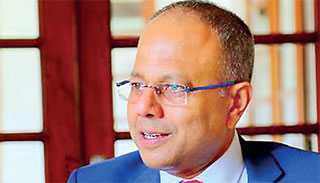 Ports, Shipping and Southern Development Minister Sagala Ratnayaka has instructed the Sri Lanka Ports Authority (SLPA) to beef up security in and around the Colombo Port in view of ongoing raids on drug dealers and traffickers across the country. The Minister has told the SLPA senior management to coordinate with Sri Lanka Police, the Customs Department and other relevant institutions and come up with an advanced security plan for the Colombo Port. The Minister held a special meeting with the SLPA senior officials at the Prime Minister’s Chief of Staff Office at Temple Trees yesterday (5) and directed them to keep him regularly informed about the implementation of the new security plan. “Due process must be followed with diligence. There should be no room for name-trading, unofficial negotiations and underhand deals,” the Minister said, adding that ensuring transparency in the ports sector is one of his main priorities.